Personal Loan vs getting Vehicle Finance to purchase a car? Many people needing to finance a vehicle wonder if they can use a personal loan to finance their vehicle. The simple answer is yes, you can. Provided you qualify for a personal loan, the money will be deposited into your bank account and you can do with it as you please. This includes paying for a vehicle. The more important question is, should you use a personal loan to finance a vehicle? This will depend on a number of factors. Certain vehicles will not qualify for finance, particularly cars over a certain age. In such a case, you would either need the cash available or you would need to take a personal loan. Be careful in this situation. You want to be sure you will be able to buy spare parts if you have problems as well as find people that know how to do the repairs. This is now a lot easier than it was in the past thanks to the internet. It used to be difficult to get vehicle finance for a private sale but there are now a number of companies that facilitate this type of transaction and you can set finance from a traditional bank or finance house. Assuming the car you want meets the requirements for vehicle finance, you have a number of options. 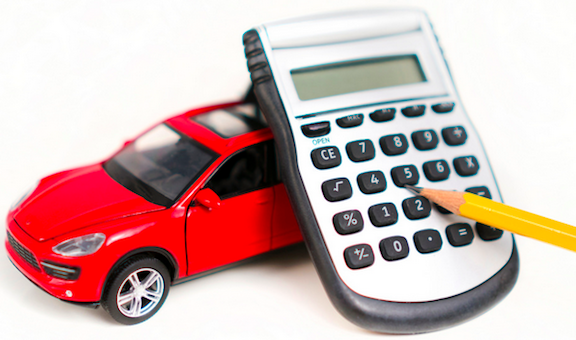 If you are buying a new car, the dealers often structure very affordable financing options. Buying a car is a big commitment and it is generally your second biggest purchase after your home. Do your homework first, on the car as well as the financing options. New car dealers will often offer options with a balloon payment, a vehicle lease or a guaranteed buy-back. There are times these deals might be appropriate but be sure to study them thoroughly, look at all the costs and weigh up the options. Generally speaking, normal vehicle finance on a new or used vehicle will be the most cost-effective way to finance the purchase of a car. If you have a good credit rating, you will qualify for a preferential interest rate and possibly not have to pay a deposit. Remember that by paying a deposit if you can lower the total interest you pay over the term of the loan. The longer the loan, the more interest you will pay in total so that is another factor to consider. The dealerships have F & I people to help you apply for finance. These people are experts in vehicle finance and should get you the best deal. It is probably still a good idea to do a bit of investigation yourself to confirm this as you do not want to pay more than you have to. The main reason vehicle finance normally works out less expensive is that they use the value of the vehicle as collateral for the loan. If you fail to make your installments, they will eventually reposes the vehicle and put that money towards the outstanding loan. Also, watch out for hidden costs both with the vehicle itself and the financing. A very attractive deal can soon become significantly more expensive with a couple of extras added on. Read all the paperwork very carefully and questions everything. The benefits of a personal loan is that it is normally very fast. Many companies will approve the loan and have the money in your account in 24 hours. This is particularly useful if you are negotiating on a private sale. Most personal loans are not secured so tend to charger a higher interest rate. It is a good idea to shop around before making a decision and compare the various options. Again, be sure to take all additional charges into account when doing this exercise. Take your time and weigh up the options. You need to look at the cost of the vehicle and the total cost of both options including all extra charges. It is an important decision so do not rush into before investigation the options.